Images in Illinois October 2014. Above: Arriving late night in Illinois from South Carolina (October 2014). 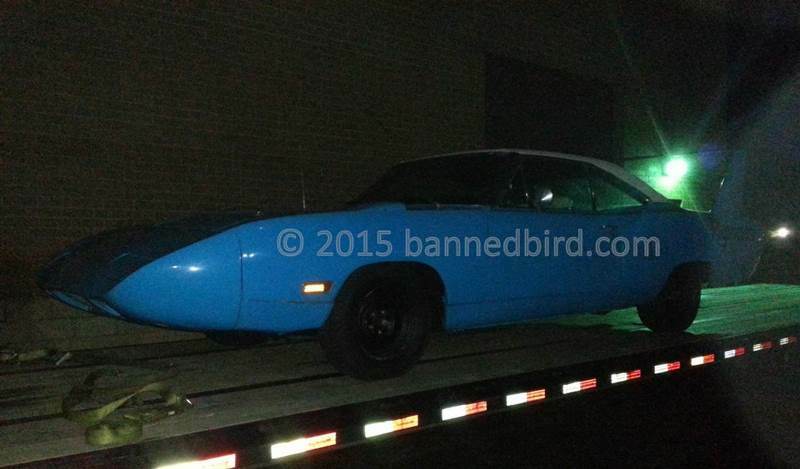 Above: Off the trailer, the Superbird lands in Illinois. 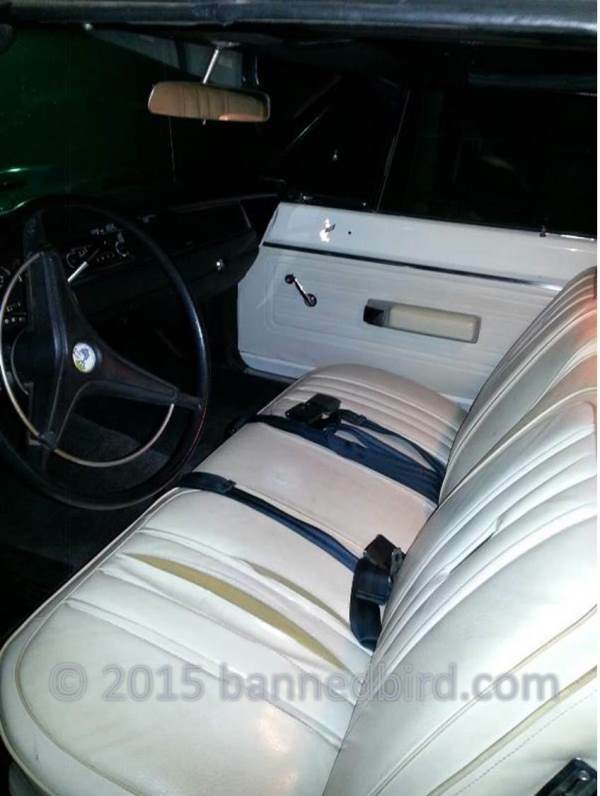 Above: White Bench seat showing its years. 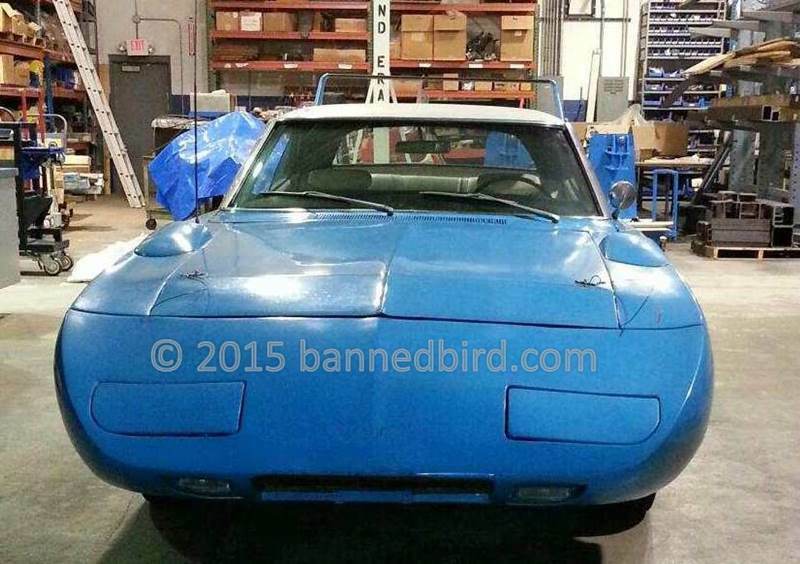 Above: Superbird in owner's shop in Illinois. Once in Illinois, a detailed assessment of the Superbird took place. The current owner hadn't studied Superbirds in 2 decades, but eventually the codes came back from dusty memories. He had restored a B5 blue Superbird 1989 - 1991. Interesting is that both Superbirds were B5 blue white interior cars. This winged car was certainly real. All sheet metal looked original except for (possibly) the passenger door. Of course the aluminum center wing section being black made it originally from this car questionable. Aside from having some body putty here and there, the car was definitely an original and solid Superbird. Even in better condition than the first Superbird. During review of the Superbird, converting from stock to a Gen III Hemi and coil suspension was the plan. Without time or equipment to pull the motor and suspension, local shops were contacted. 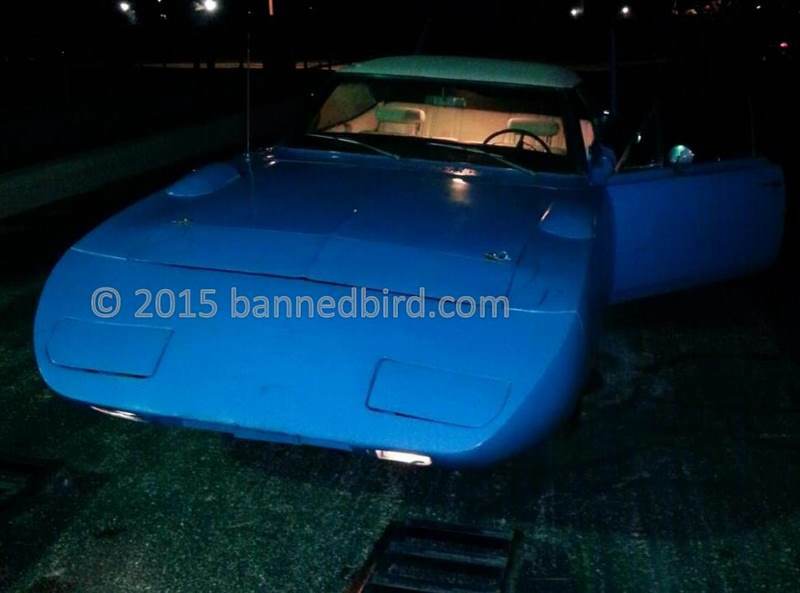 No one had time to do the Superbird during the 2014-2015 winter. A few big shops (some on television) were contacted late 2014 early 2015, but no reply (one did reply, but it was months later). 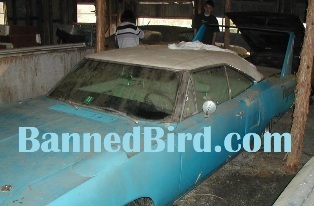 You would think that a real barn find Superbird being upgraded to this extreme would be in demand. Possibly the "big boys" get so many inquires they don't read them all. Or they didn't believe someone would take an original stock Superbird and modify it so much.